Since the beginning, Silo’s has been home for most NVJS concerts. Offering NVJS Members discount which is 30% off the Advance cover charge ticket price. The famous Blue Note club has arrived in Napa. 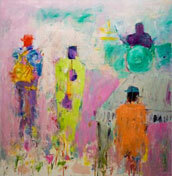 And support the art of jazz by checking the links of these other North Bay venues and calendars. Thanks for helping keep jazz alive and thriving!